Nurses always have a hard job on their hands, no matter what day or time it is. One minute they could be helping to clean a patient, and the next minute they could find themselves helping a patient in a life or death situation. Whatever their nursing careers involve, it never comes without its drama, which is why nurses and hospitals have started to take advantage of technology to try and ease the burden a little bit. Technology has been on the rise for years now, and that has helped nurses spend less time doing paperwork and more time helping patients get better. Take a look below at how technology has made it a little easier for nurses to do their jobs. Gone are the times when nurses had to spend a few anxious minutes looking for help from other nurses to settle down a patient, and instead they now take advantage of mobile devices to communicate throughout the hospital. Communication is the key when it comes to saving lives, so the implementation of mobiles and paging devices greatly improves communication between nurses. It’s also possible for nurses to track patient medical information and send emails to other nurses to let them know of their progress. Not only do mobiles provide a way for nurses to communicate, but they also provide lots of helpful knowledge when it comes to apps and online documentation. This means that if a nurse wants to find out about a particular diagnosis for an illness, they can do that with ease thanks to official mobile applications. Mobile devices also provide a great way for student nurses to learn so they can better their careers in nursing, and even increase the quality of their nursing. You will find that a lot of mobile apps will allow nurses to have a look at drug information and what drugs would be best suited for a certain illness, depending on a patient’s medical history. One of the best advantages nurses get from mobile technology is the fact they now spend less time doing paperwork. There is of course still plenty of paperwork to get through, but as technology and mobile applications grow, this will mean even less paperwork in the future. Nurses can take advantage of many custom-made hospital applications so they can get insight on a patient’s medical history, and even discharge them without giving them a load of paperwork to fill in. Giving nurses more time with patients is one of the best things mobile technology has been able to achieve for the health industry. 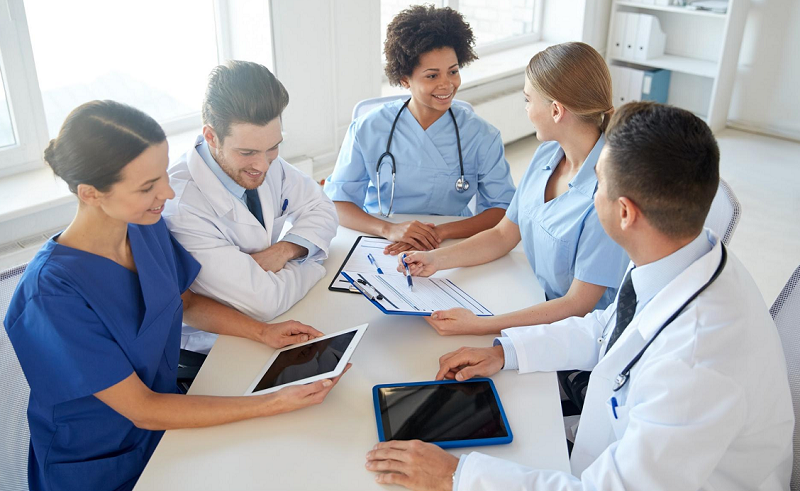 There is still a long way for mobile technology to go yet, but even technology in general will help nurses when it comes to handling their day to day jobs in the near future. It’s not just mobile devices that are getting used in hospitals now either, it’s also tablets that are able to show pictures of patients scans and other important information that helps nurses do their jobs even more efficiently.